In difficult financial times, it's always helpful to have more ideas for saving money. By pinching pennies, it is easier to stay on budget and better handle credit card debt. Below you will find some helpful money saving tips, including things to do and things to avoid. While not all of these ideas for saving work for everyone, they will hopefully get you thinking about new ways to keep extra money in your pocket. Ideas for Saving Money – Things to AVOID. Checking or savings accounts that have fees. ATM fees. Use only your bank's ATM when possible. Buying checks from your bank. Use other trusted, third-party sellers. Finance charges. Always save in advance, for any item you would like to buy. Using credit to finance things that you can't afford in the first place. Paying interest rates. Always pay your balances in full, each month. 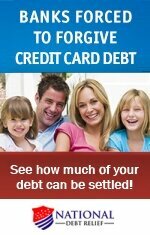 Credit cards that have annual fees. Paying for your creditreport. 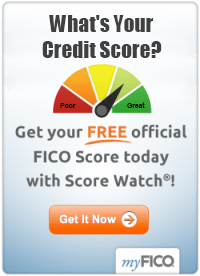 Get it free from annualcreditreport.com, or request one by writing to the credit bureaus if you have ever been denied credit. Subscribing to magazines or newspapers. Read them online. Sunday paper may be an exception, for those extra money saving coupons. Replacing things that aren't broken. If it works, keep using it. Buying greeting cards. Design and print them at home. Gym membership. Do basic work out at home, or go for running/walking outside. Buying coffee outside. Brew at home, or use the machine at work for your daily kick. Leaving lights on when you leave a room. Stocking up extra perishable items just because there is a sale. You may never end up using them before expiry date. You can stock up non-perishable items that you regularly use, of course. Buying drinking water. You already pay for the drinking water from your tap as part of your utility bills, right? Using vending machines. You pay a premium price for stuff that's bad for your health (a double whammy). Replacing your car every few years. Get the most out of it for ears by maintaining it well. Most cars can go up to 200,000 these days. Credit cards that offer those valuable cash back bonuses or reward points. But remember to always pay your balance in full, each month. If you are unable to do that, ignore this tip. Surge protectors for your electronic equipment, if you live in an area where thunderstorms frequent. Public libraries for your book, magazine and DVD viewing. Change jar. Make a habit of putting all your change into it at the end of the day. Once a month, exchange the coins for bills at the grocery store. eBay or Craigslist to buy quality used stuff. Internet to pay your bills. Save on postage. Internet to buy contact lenses, health products, and prescriptions for your bets. Online orders are usually cheaper than at the doctor's or vet's office. Factory outlets and thrift stores for your clothing or other household needs. For more ways to save, please see article links below.